Time to wax theological just a little. More or less all Christians in the Western world – and plenty of people who aren’t Christians as well, are familiar with Pentecostalism. It’s a brand of Christianity born at the beginning of the twentieth century with a strong emphasis on the baptism of the Holy Spirit and also the gifts of the Holy Spirit, with a special emphasis on what they refer to as the “gift of tongues.” I might say more about that another time, but for now I just want to comment briefly on the Pentecostal emphasis on the Baptism in the Holy Spirit and the way that it relates (or does not relate) to the New Testament. Pentecostalism has formulated a number of doctrines associated with this position on ‘baptism in the Spirit.’ The doctrine of separability is the long held belief of Pentecostalism that Spirit-baptism is a distinct and unique experience from conversion (or regeneration); that is, it is separate to regeneration (the experience of Spirit-baptism can be separated from the experience of conversion). This belief entails the conviction that Spirit-baptism is dissimilar to regeneration in nature and identity. Again, the doctrine of subsequence is the additional belief that this work of the Spirit follows regeneration in time (or at least, in order). However, the doctrine of separability does not depend on the doctrine of subsequence, because two events may be simultaneous though discrete in character. This is why the Assemblies of God’s stated position, for example, is that baptism in the Spirit usually follows (subsequence) the experience of new birth but is always distinct from it (separability). Arguably the most important portion of the New Testament used by Pentecostals to find a theology of the work of the Holy Spirit – especially when it comes to the Gifts of the Holy Spirit, is 1 Corinthians, chapters 12 to 14. There, the Apostle Paul lists numerous gifts of the Spirit for the purpose of pointing out that not everyone is gifted in the same way – in interesting issue in itself when it comes to Pentecostal theology, but not the issue I want to draw attention to. The overarching message in 1 Corinthians chapter 12 is that as members of the church we are all one, in spite of our diverse gifts. It is the Holy Spirit who makes us all one – all equals. This is where Pentecostal theology has something at stake. If it is true that all Christians have been baptised in the Spirit, and this is what makes us members of the “body of Christ” (a term that Paul uses to refer to the church), then there is nobody in the church who has not been baptised in the Spirit. And this is precisely what Paul says here in 1 Corinthians 12. A minor note on lingistics – some translations of the New Testament read “for by one Spirit…” However, there is no denying that gar en eni pneumati literally means “for in one Spirit.” En is the ordinary Greek word for “in.” The fact that as members of the body of Christ, we are all the common recipients of the Holy Spirit makes us all one in Christ. That is the message here. There is no need to engage in this type of reasoning. Let the Pentecostals disagree with Paul if they want, but let us allow Paul to say what he wished. If Paul said that the baptism in the Spirit applies to all believers, then he does refer to the baptism in the Holy Spirit, and he thought it applied to all members of the church. If anyone holds a view of the baptism of the Holy Spirit that differs from this, then send them to St Paul! The issue is not merely academic, but it is also pastoral. For Paul, the Spirit of God unites the whole body of Christ. There are no tiers of membership. If you are part of the body of Christ, then you are part of the temple of the Holy Spirit. Taking the baptism in the Holy Spirit to be a phenomenon that divides the church in two; those who have been baptised in the Spirit and those who have not, makes the Spirit of God do the opposite of what Scripture says, it creates a subclass of Christians who are the “haves,” and consequently it creates a class who are the “have nots.” And for grounded, honest, sincere Christians who have been told that they should ask for the baptism in the Holy Spirit, and who pray the prayer they are told to pray, only to realise that nothing is happening, the effect can be genuinely harmful. Maybe I lack real faith! Am I as a good a Christian as those people who say that they’re experiencing some sort of ecstatic experience? What’s wrong with me? For others, the harmful effect goes further, encouraging a sort of Emperor’s new Clothes approach to spirituality, the will to say that we are experiencing something, to drum up ecstasy and call it the Spirit of God, so that we do not seem inadequate to others or to ourselves in our walk with God. We should all want the Holy Spirit to be at work in our lives. But let’s not allow a confused theology drive what that should look like. Members of Christ’s body grow into the people they are called to be by the work of God’s Spirit, but telling Christians that they have not been baptised in the Holy Spirit and need to pray that prayer and go through this modern liturgy (something cobbled together in the 19th and especially the 20th century) to become baptised in the Holy Spirit is not something you will every find support for in Scripture. For Saint Paul, there is no room for such a class system in the church. The Holy Spirit injured me! …. or did he? Glenn, I agree with your comments. Most “pentecostals” will then refer to Acts 19:1-7 in defence of their claims. This passage, however, only mentions that the disciples had received the baptism of John, which indicates that they had no knowledge of who Jesus was or of His death and resurrection. Do you have any comments on this passage? I agree Andrew. I’ve always looked at that passage, not as a case of Christians receiving the Baptism in the Holy Spirit, but people who didn’t actually know who Jesus was and who – according to them – had never even heard of the Holy Spirit. This was a conversion to the Christian faith as I see it. I’ve always wondered if whats in view here is the difference between the old covenant (the temple, and therefore John’s baptism), and the new covenant, which means closer more personal relationship with God through Christ, and therefore the Spirit. Not a different baptism, so much as a different “order”. That reminds me of something actually Geoff, about the old temple and the new temple. Rather than put it in a comment, I’ll write a blog entry on it. It appears, sadly, that the author of this Blog who is guilty of a faulty assumption. Let me explain, it is clear that Paul in 1 Cor 12:13 believes all Christians are baptised in the Spirit. True. However, all Christians today are not. Why? They are discouraged from doing so, they are cheated of their full inheritance. The Greek word translated Baptism was used to describe a complete immersion and suffusion – a soaking. It was used in classical Greek to describe a ship that had sunk, filled with water and its timbers soaked. It had become part of the water. This is why Paul can describe (1 Cor 10:2) the Israelites of old as being baptised into Moses. It meant that they were so closely identified with him (like the sodden timbers of a ship are associated with water) they were saved. Likewise Christians are soaked in God and are saved. 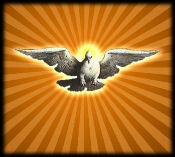 However, today Christians are often taught to go for the minimum – the Holy Spirit is in you when you believe. True. But this is not to be fully Baptised in the Spirit. Put another way, the Spirit has brought the Christian’s spirit to life (John 3:6). But the Spirit has not been released into the Christians mind and body – he is not baptised. In Pauls day nobody would refuse to ask God for this – why would you unless someone had (mistakenly) taught you that you already had all that was on offer. But no, streams of living water (John 7:38) will flow out of a Christian if he or she submits completely to God and asks humbly – this is on offer from our loving heavenly Father, do it now, please. Peter, the thing is, Paul says that people enter the body of Christ spiritually is achieved by the baptism in the Holy Spirit. When you say that most Christians today aren’t baptised int he Holy Spirit, you end up saying that they aren’t even members of the body of Christ. This sort of exclusivism is just what is wrong with the view I have criticised. I have been member of the Assemblies of God church since 1980. But I have never really believed in the subsequent Baptism in the Holy Spirit with the initial evidence of speaking in tongues, as much as I have tried to convince myself otherwise. Speaking in tongues as a gift of the Holy Spirit to those individuals whom are so gifted by the same Spirit, for the edification of the body of Christ, yes. But the Bible states that all do not receive the same gifts. I have never been comfortable with the division that is created in the body of Christ by the constant emphasis that each believer should speak in tongues. My own belief is that we are indwelt with God’s Holy Spirit when we accept Christ as our savior and we are “re-filled” to the extent that we, thru the grace of our Lord, allow Christ to live his life thru our imperfect life. We are baptised into the body of Christ BY the Holy Spirit. We are Baptised in the Holy Spirit by the Father and the Son. However, doctrine aside, the church of today in the USA seems to be sadly lacking in supernatural interventions.